Note : The Westinghouse WH7500E has been discontinued and replaced by the Westinghouse WGen7500. Please go to our review of all of the Westinghouse WGEN generators. We will leave this article here for reference, but just be aware that some of the generators have been improved, updated and refined, which is great for all consumers. Having said that, there is a lot of relevant information in the article, so it might be worth browsing through it. Ultra portable and easy to move around wherever you need power. The Westinghouse WH7500E is an excellent generator for the money — capable of keeping the electricity flowing in case of an emergency and powerful enough to use for a job-site or powering electrical equipment in your own backyard. The possibilities are endless for the Westinghouse WH7500E, such as running appliances like your oven or refrigerator, working remotely with power tools or other heavy duty equipment. You can even use it to power camera’s, lights and sound on your independent film shoot. It’s fairly quiet (68 to 72dB) for a gas generator thanks to its Pulse-Flo oversized muffler and capable of running for 13 hours of at 50% load. There’s a lot to know about the Westinghouse WH7500E, which we’ll get to in this article. How many times have you read about power outages in the last few years? Even once or twice is too much, because if you don’t have access to power when you need it you’ll be left feeling frustrated. There are other times when you’ll be desperate for power, but one thing will always hold true in all cases. 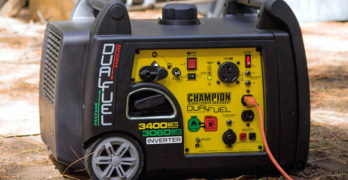 Everyone should have their own portable power supply they can call upon when it’s needed, so let’s look at the instances when someone might need their own generator. Simple start with the Westinghouse One-Touch Electric Start System. Who Needs Their Own Portable Generator? Home Backup Power : This is when something like the Westinghouse WH7500E generator would come in handy. The power to your home is gone and it’s making life very difficult for you. If it’s in winter and lasts for days it’s even worse. A portable generator will be the only thing capable of keeping your home up and running. Working In Your Garden : Even if you have power outlets on the exterior of your home, cables will only be able to stretch so far. You’ll then have to run extension cords all around your garden, which will be a pain if it’s not small. Wheeling a portable generator around will solve all your outdoor power problems. Heading Into The Outdoors : Every so often you’ll head off into the wild to go camping or fishing. Wouldn’t it be nice if you had a portable generator to keep your drinks in a cold fridge? A Westinghouse WH7500E generator might be a little big to carry around, but it’s still possible to throw bigger models onto your truck if you don’t want to buy two. For Commercial Purposes : You’re finally left with the last main use for a portable generator, which will only affect you if it’s essential for your job. What will you do if you turn up at a work site and you don’t have access to an electric socket? You’ll need an alternative way to power your drills and saws. How Much Power Do You Actually Need? We could talk for hours about all the important features on generators, but there is only one thing you should concern yourself with before thinking about anything else. You need to work out how much power you actually require, which is going to be a lot if you’re planning on powering your entire home when a storm decides to strike. Click image to view or download generator sizing worksheet. Without delving back into a high school science lesson, let’s just say power equals watts. On a portable generator it will give you its maximum Running Watts, which is the total amount of power it will be able to handle when you start running your appliances on it. Each appliance will also tell you its Running Watts, so you’ll have to add them up to make sure they don’t exceed your generator’s Running Watts. These are just examples, but it should make things clear to you. All of the appliance wattages combined shouldn’t exceed 7,500 watts. When you’re trying to figure out how much power you’ll need, locate the wattage rating on your appliances and add them all up. Visit the Westinghouse to use their generator sizing guide. Impressive — can run up to 19 Hours of Run Time at 25% Load. Westinghouse makes a wide range of generators for homeowners and professionals who require additional features for work. The Westinghouse 8KPRO is engineered for people who need a little extra such a lifting hook for easy transport to a variety of locations, covered outlets to protect from the weather and a remote start, just to name a few. ✓ View or download the MANUAL or the SPEC SHEET for the Westinghouse 8KPRO. Learn more about the Westinghouse PRO series in our dedicated, fully-researched, (and comprehensive) article. We hope this article will help you determine your actual needs before you make a final decision as to which model to invest in. Keep reading…we have a lot more to discuss. The Running Watts is how much power your portable generator will be able to handle once everything is up and running, but you also have to take the Starting Watts into consideration. The reason this matters is because some appliances and tools will require a very quick boost of power to start the motor. Please Note: Don’t forget you’ll normally only be turning one appliance on at a time, so if the difference between the generator’s Running Watts and Starting Watts is significant you’ll never run into any problems. Would it surprise you to know Westinghouse came to life around 170 years ago? When you look at companies with a rich history you realize they’re great because they’ve survived for so long. To only focus on the longevity of Westinghouse would be doing them a disservice, because they’ve accomplished more than nearly every other company in the world. It all started coming together in 1865 when George Westinghouse patented the rotary steam engine. Ever since then they’ve brought you the first public US utility steam generator, main-line AC powered locomotive, all-electric kitchen range, television camera tube, industrial atom-smasher, electric clothes dryer, and the fastest elevator in the world. Those are still only a small selection of the companies achievements, with amazing portable generators being one of the others. We’re going to look at why the Westinghouse 7500 generator is so good. 3 year warranty means your investment is protected. 7,500 running watts and 9,000 starting watts. 420cc OHV Engine with Cast Iron Sleeve. Up to 11 Hours of run-time at 25% Load. 25% load 68 to 72 dB. Convenient One-Touch Electric Start System. Quiet Operation thanks to the innovative Pulse-Flo muffler, making it one of the quietest conventional generators on the Market. Hour Meter: Displays how many hours the generator has been run when under load. (4x) : 120/240-Volt, 30-Amp Twist Lock Outlet (NEMA L14-30R): Outlet can supply either 120V or 240V output. (1x) : 120-Volt, 20-Amp Duplex GFCI Outlets (NEMA 5-20R): Each outlet is capable of carrying a maximum of 20 amps on a single receptacle or a combination of both receptacles. ✓ View or download the MANUAL or the BROCHURE for the Westinghouse WH7500E. Like we’ve already said, this is the main thing you should consider when you’re buying a portable generator. The WH7500E has 7,500 Running Watts and 9,000 Starting Watts. From the examples we looked at before in regards to the average wattage of different appliances, it’s easy to see how this generator would be able to take care of an average-sized home in the event of an emergency. If you’re only carrying out general work outside you won’t come close to maxing it out. Made from high-quality components to endure extended use. There is a 420cc 4-stroke OHV engine inside the generator, and once you’ve filled the 6.6 gallon fuel tank up it will keep going all day. Westinghouse were conservative in their estimate, but they’ve stated it will last up to 12 hours at 50 percent load. Considering the Running Watts is so high it’s unlikely you’ll ever reach anywhere near max load. This will also help if you need to run the Westinghouse WH7500E generator through the night, because you’ll not need to switch on as many things so you’ll be taken care of until morning. Did you know there are a couple of ways you can power up your home when everything goes dark? You can do things the hard way by hooking up all your appliances individually, or you can do things the easy way by flicking a single switch. To do it the easy way you’ll need to connect a Manual Transfer Switch near your breaker box, which will connect your Westinghouse 7500 generator directly to your home wiring. Once everything is set up you’ll be able to flick the switch to transfer everything over to your generator. When you’re in the middle of an emergency you don’t want to mess around trying to start your generator. It couldn’t be easier to switch this one on because you simply need to press a button once, which is great considering it’s gas-powered. 5 outlets should be enough for most circumstances. There is still a backup cord you can pull in case something was to go wrong. You’ll also notice there are a few yellow markings on the generator. These will remind you what you should pay attention to before it’s switched on, plus because they’re bright you’ll be able to see them in harsh conditions. Due to the fact it’s gas-powered you’ll have to keep the generator outside for safety reasons. It’s easy to see why the weather will be terrible when you’re likely to suffer a power outage, but you don’t need to worry about the Westinghouse WH7500E. Its all-steel construction will be able to handle all the elements, plus the electrical wiring will be enclosed deep inside. It even has things like forged piston and connecting rods to give the interior of the generator just as much strength as the exterior. When the power goes out the Westinghouse WH7500Ecan power your home. Inverter generators are always favored when using delicate appliances because the voltage doesn’t jump up and down, but the Westinghouse WH7500E generator will still take care of your appliances. It has automatic voltage regulation (exclusive VR system) to keep things like mobiles and laptops safe. The generator will take care of itself too, which will increase its longevity. A good example are the 120V and 240V circuit breakers to ensure current protection, plus the low-oil automatic shutdown. The maintenance free brush excitation also eliminates downtime. Standing at just over 200 pounds in weight, you’d be forgiven for thinking the Westinghouse WH7500E is hard to push and pull around. Thankfully, that couldn’t be further from the truth because of two specific things if you exclude the shape of the generator. The tires are puncture-proof and large, so you’ll be able to take them over all kinds of terrain without any trouble. Remember, it should only be operated on flat and solid land for safety purposes. The dual folding handles are also the perfect size for making it feel as light as possible. Your Westinghouse WH7500E generator will have a Our Pulse-Flow Muffler on it to guarantee quiet operation. You don’t want to be woken up in the middle of the night multiple times when you’re already frustrated by a power outage. When the generator is running at 25 percent load it will reach between 68-72dB. When the load increases the decibel level will follow suit. You should also keep in mind, even though the muffler lowers the noise you’ll still have to wear ear protection when you spend a lot of time close to it. It also comes with a few extra things you’re sure to appreciate. If you’re not used to handling heavy power tools it’s okay, because the Westinghouse WH7500E generator will be ready to use straight out of the box. It comes with a 3-year limited warranty too, which includes nationwide service and support. The Westinghouse WH7500EC is almost identical to the Westinghouse WH7500E, so we’re not going to spend a lot of time on it. Just be aware the WH7500EC is CARB compliant, so you’ll need to purchase this model if you live in the state of California. Lots of outlets and plenty of excellent features for a very fair price. ✓ View or download the MANUAL for the WEN 56877 generator. 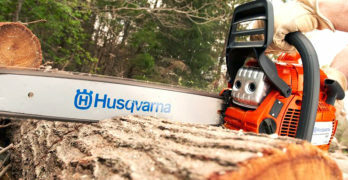 By now you should know the Westinghouse 7500 generator is great, but it’s always a good idea to compare power tools before you pull the trigger. We’re going to focus on the WEN 56877 today, because it’s a worthy competitor with a few differences. So the Westinghouse WH7500E generator came in at 7,500/9,500 Running/Starting Watts, but your WEN 56877 will be slightly lower at 7,000/9,000 Running/Starting Watts. In reality this won’t make much of a difference and you’re never likely to notice it. The only time you would be faced with a problem would be if you tried your hardest to push it to its limits. Still, the Westinghouse has to be declared the best one for backing up your home. For work or emergencies. Excellent generator to keep the lights on when you need it. Various sources show the Westinghouse WH7500E generator lasting different times depending on the load, but if we assume it’s 12 hours at 50 percent load the WEN 56877 falls behind. It can still last a very respectable 9 hours at half load when the tank is full, which will still serve you throughout the night. It’s also worth pointing out the fuel tank on the WEN 56877 is 0.1 gallons less, which is barely even noticeable. One unique thing about the WEN 56877 was their decision to put a spark arrestor inside the unit. This means you’ll be able to take it into national parks throughout the country without worrying about being fined. It’s also got a muffler to drop the decibel rating to 82dB at 23-feet. This still doesn’t mean it’s quieter than an inverter generator, so you’ll have to wear your ear protection when you’re standing close to it. Large wheels make it easy to haul around to wherever you need power. When we looked at the Westinghouse WH7500E generator we concluded it was easy to move around because of the wheels and folding handles. We could say the same amount the WEN 56877, but we were only going to focus on differences. At 26 x 22.4 x 28.4-inches it’s definitely slightly more compact than the WH7500E. This won’t matter when the generator is up and running, but when it’s time to put it away it will be easier to store. You know it’s vital to operate generators on flat, solid ground to stop them from falling over. Sometimes it will get a bit bouncy when you’ve got a 420cc engine running at almost maximum load, and the WEN 56877 will stay on its feet longer if all other things are equal. WEN has been creating power equipment since 1951 — yes, they know generators. It’s around 23 pounds heavier, it has two rubber motor mounts, a couple of big wheels, and a 1-1/2-inch tubular frame helping pin it to the ground. You will only get a 2-year warranty on the WEN 56877, which is still pretty good for a power tool. Even though it’s half the length of time you’ll get compared to the Westinghouse WH7500E generator warranty, they have a nationwide group of experts ready to serve you straight away. If you look after it carefully it will still last for many years. Fill It Up Carefully – When filling the gas and oil up the generator should always be switched off. It sounds like common sense, but people do like to take shortcuts. It should be cool when you’re pouring in the gas and oil too, plus do it in an open space so you don’t breathe in the fumes. Always Check Extension Cords – You’re usually careful when it’s time to pull plugs from the outlets, but nobody pays any attention to the extension cords lying on the ground. There is going to be lots of power running through them, which means if they’re worn or damaged you could come into contact with the wires. Don’t Lift On Your Own – Any gas-powered generator you buy isn’t going to be the lightest power tool in your collection. It’s okay to move it around on your own using the wheels and handles, but don’t try to pick it up. You’ll end up with a sore back and you won’t be able to walk for months, so avoid attempting it without the help of a friend. Think of the Westinghouse WH7500E generator along the same lines as a bicycle helmet. Can you ride your bike every day without wearing a helmet? Sure, but if you get into an accident you’ll have to endure lots of pain and suffering. You won’t know how much you truly need it until something goes wrong, which is the exact same as owning a portable generator. When the power goes off and there is nothing you can do it’s terrible. It’s also going to come in handy for lots of other things like we spoke about earlier on, so it’s definitely worth having one sitting around. Even if you don’t suffer power outages often you’ll still use it. The reason we focused on the Westinghouse WH7500E generator is because there are far too many people saying good things about it to ignore. Once you’ve read the reviews on Amazon you’ll know exactly why. Visit the Westinghouse site to learn more about their products.